The weekend can be worn tucked or untucked. 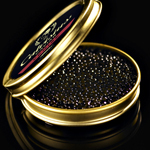 Your Perks: 1) Tin after tin of delicious, sustainably sourced Italian caviar. Commence the dinner partying. 2) Pens and watches that are better than all other pens and watches because they’re Versace. 3) Really comfortable workout clothes. Actual working out optional. 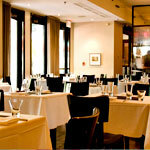 It’s true: Via Matta is closing, and Saturday night is their last stand. By which we mean Michael Schlow will be in the house cooking a “Chef’s Choice” menu based entirely on the kitchen’s whim for each diner. Hopefully they’re in a good mood. Patio Clambake. You Know What to Do. 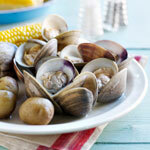 Clam and slam. On their own, they’re monosyllabic words that pleasantly rhyme. But put them together, and you get a patio-based clambake accompanied by a whole pig roast and rivers of ’Gansett at Abigail’s. Spoiler: someone put them together. Pop quiz: which of the following do not belong at Mr. Sid’s Sunday grooming session? —A Jack’s Abby beer tasting. —A made-to-measure pop-up from Arkansas-based tailor Strong Suit. You knew this was a trick question, right? 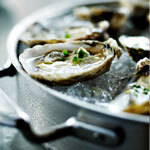 At Serafina: “Portofino Mondays,” which entails a lounge DJ and $1 live-shucked oysters. At the Kirkland Tap & Trotter: A summer series of guest-chef-created hot dogs, starting Monday with a dog by Ken Oringer. Really stretching his potential there.